The devastating tsunami hit the state’s coast on December 26, 2004, causing extensive damages to life and properties. Chennai: Chief Minister J. Jayalalithaa extended help to Sri Lankan government by deputing officers to guide them in the tsunami rehabilitation, state revenue minister R.B. Udhayakumar claimed. 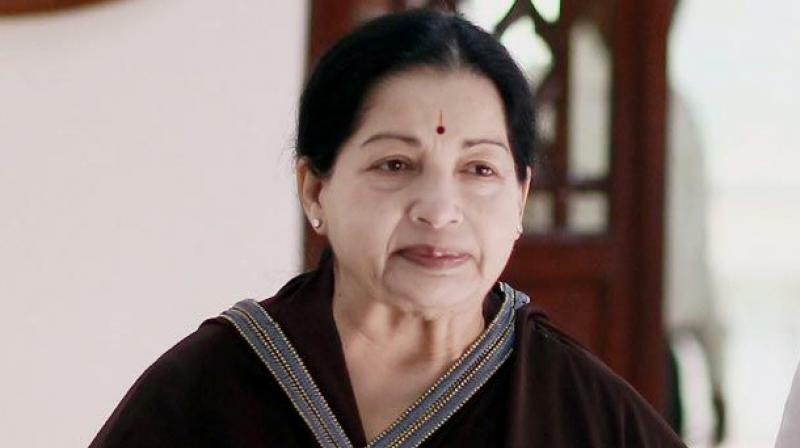 After their friendly countries China and Pakistan turned down to help, Sri Lankan government sought Tamil Nadu Chief Minister Jayalalithaa’s assistance who dispatched state government officers to guide them in rehabilitation work, the minister said in reply to DMK legislator and former fisheries minister K.P.P. Samy who claimed that DMK government in 2006 allotted Rs 1,000 crore for tsunami rehabilitation. The devastating tsunami hit the state’s coast on December 26, 2004, causing extensive damages to life and properties. “Post-tsunami rehabilitation work undertaken by Tamil Nadu government was appreciated across the world. Even former US President Bill Clinton who visited Tamil Nadu praised rehabilitation work of Tamil Nadu government,” he said. It all started with Mr Samy when participating in the debate on the demand for grants for fisheries and dairy development said that the then chief minister M. Karunanidhi in 2006 convened a meeting of 13 coastal district collectors to review tsunami rehabilitation work and allotted `1,000 crore for it. Refuting the DMK member’s claim, fisheries minister D. Jayakumar said that AIADMK government allotted Rs 1,495 crore for the rehabilitation works and accused the DMK government of not spending the allotted amount. “There cannot be a worst administration than DMK government. You allotted `258 crore but spent mere Rs 60 crore,” he said. To Mr Samy’s query to show a single house constructed by the then AIADMK government, the revenue minister said that DMK government proceeded with the rehabilitation roadmap prepared by CM Jayalalithaa. “Of the 89,132 new houses proposed, 74,138 were built. It was Chief Minister Jayalalithaa who laid down the road map,” he said, amid strong opposition by DMK members. “If you can patiently listen, I will tell you with the government order numbers. I kindly urge the DMK member not to misguide the House with wrong information. Moreover, people will not believe you,” he said.